Writing about anything in 700 words is quite an ask as it usually means leaving out so much information. 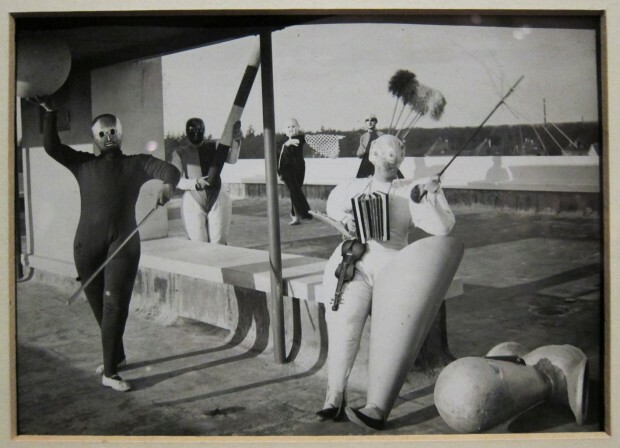 Writing about the Bauhaus, well, where do I start? Did I mention there wasn’t an architecture component at first, despite the professed aims of unifying all the creative disciplines with newer ones such as engineering? Couldn’t they find the staff? And the endless machinations as it struggled to find its role in Weimar Germany could fill a book, and probably do. 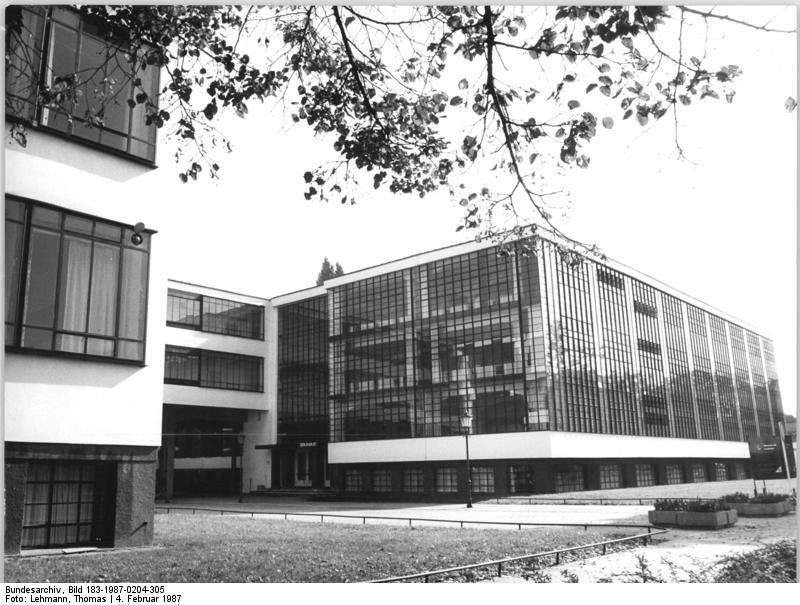 When I write about the Bauhaus, I find myself musing about Le Corbusier and his rather cool take on German architecture. 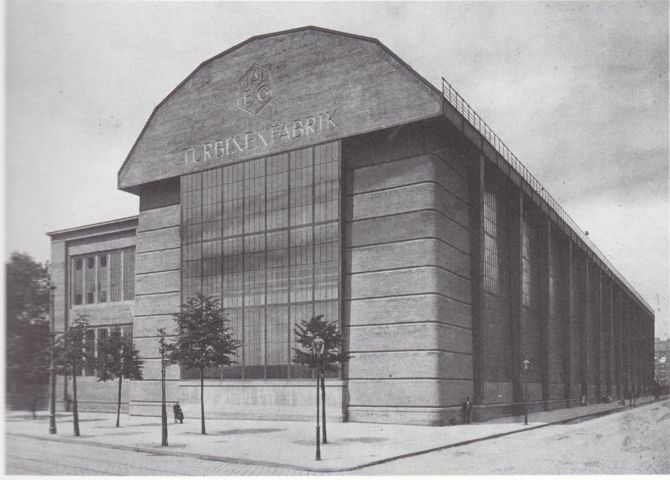 He had worked for a very short time in the office of Peter Behrens in 1910 as a draughtsman (where those Bauhaus starchitects Walter Gropius and Ludwig Mies van der Rohe also worked). It wasn’t a happy time for him as he found Behren’s high-handed attitude rather off-putting (although it seemed to provide the perfect model for his later dealings with his own staff). How interesting those times were, when people were actually beginning to take note of industrial buildings. They seem the perfect symbol for the rising Modern movement. Behrens designed the whole look of AEG including its logo, just as companies do today. Domestic architecture was taking cues from industrial buildings. 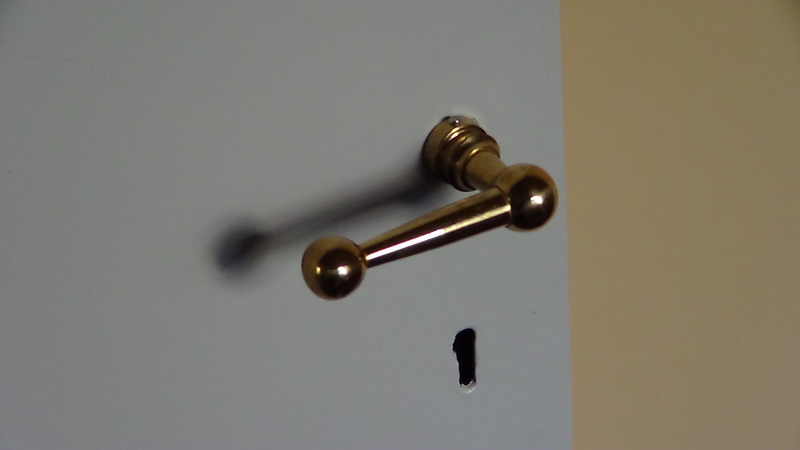 Plain metal fittings were used in homes. Le Corbusier liked simple wall lights that might well have been designed for trains and trams. His favourite chair was a cheap old Thonet number 19 (cheap no longer, it must be said). But when I read about the Bauhaus, I can’t help falling into that trap of history – nothing less than a romance – of thinking that everyone was on the same page, going for the common goal, unified in their desire to create a new streamlined future that would be clean and functional. It was never that simple. But there was a common aim to make things work better, from factories to homes, and everything within them. Beauty comes from things that function well, even if they don’t at first sight appear to be beautiful. There’s beauty in a switch that turns well, that feels good to the fingers and which makes the item work. The beauty of rooms filled with sunlight at the right time of day. The beauty of honest materials, from wood to concrete. I remember visiting a flat in London that had been done in the height of French Empire taste – panelled and gilded and mirrored to within an inch of its life. Sumptuous silks woven with bees shimmered at the windows. It was an extraordinary place. You half expected Napoleon to waddle out. But it felt so fake and that made me feel uncomfortable. Not simply the discombobulation of a home in the twentieth century mimicking the style of another era – I can live with that. But it was the fact that not even the paint on the flattest parts of the panelled walls was free from artifice – sponged, dragged, and marbled to add further richness, as if any were needed. I love structure and form. Gilding the lily is fine at times but after a while it becomes simply tedious. Which is why I love the Bauhaus and why perhaps its influence will continue to resonate. There is great international excitement planned for the centenary of the movement in 2019 https://www.bauhaus100.de/en But will it pass Australia by? I have tried on a couple of occasions to ascertain what the Powerhouse has in mind, but I guess it is preoccupied with its forthcoming devastation. I fear the majority of Australians don’t even know what the Bauhaus was… Don’t think The Powerhouse is doing anything.